Kale: it’s definitely one of the cool kids of the vegetable universe. Beyoncé famously wore a kale sweatshirt in her “7/11” music video, kale caesar salads are all the rage, and there’s even a National Kale Day. In addition, according to the Department of Agriculture, U.S. kale production increased by nearly 60 percent between 2007 and 2012. This leafy green is having its zeitgeist moment for good reason. Kale, like its cruciferous cousins broccoli and cauliflower, is off-the-charts high in cancer-fighting antioxidants. Kale is especially high in lutein and beta-carotene, important nutrients that provide a protection against oxidative stress and chronic inflammation — especially in relation to eye health. 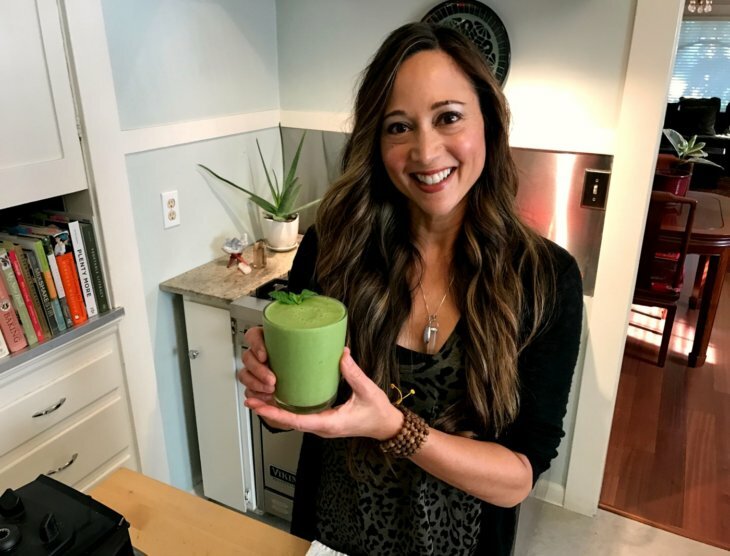 Word of caution: kale can have an intense “green” flavor, so don’t think that you need to throw a whole bunch into your smoothie for it to be healthy. Start small, and go from there. Add all of the ingredients to your blender. Process until smoothie is creamy. Serve immediately, or store in an insulated mug and enjoy as a breakfast or snack to-go. If you have busy mornings, you can also make the smoothie the night before, and store it in an airtight container overnight.